Sarah Jacobs/Business InsiderRetired NASA astronaut Scott Kelly said that spending time looking at planet Earth from the International Space Station changed his perspective on humanity. Retired NASA astronaut Scott Kelly had four missions in space, including a 340-day trip aboard the International Space Station in 2015-2016. On our “Success” podcast, he describes himself as a distracted kid who figured out his life later than his identical twin brother Mark, who also became an astronaut. 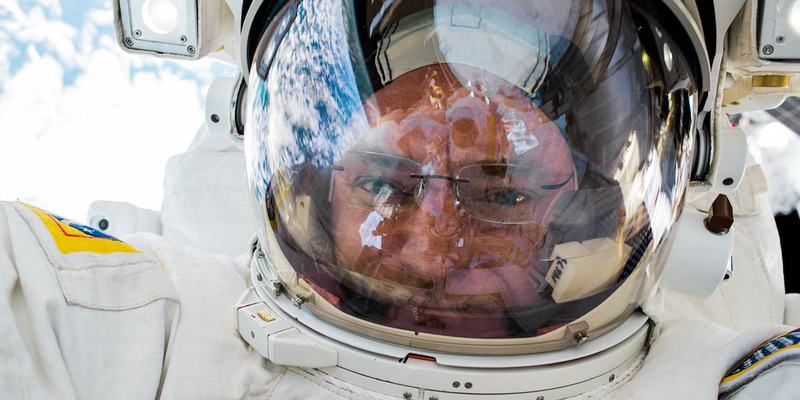 He shared some of his best moments in space, like seeing the entirety of planet Earth, as well as the worst, being helpless when his sister-in-law Gabrielle Giffords was shot in 2011. 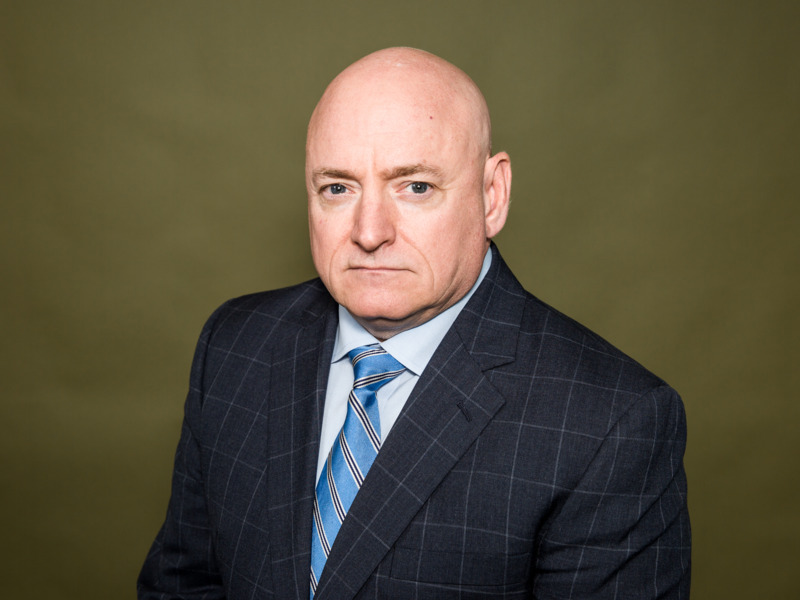 When Scott Kelly talks about flying into space, he sounds like a guy talking about his favourite hobby, with the same tone someone would use for golf or fishing. As a NASA astronaut, Kelly made four trips to space, including spending 340 days onboard the International Space Station. 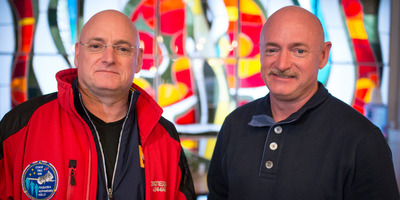 Meanwhile, his identical twin brother – and fellow astronaut – Mark was on Earth. Since then, scientists have been watching how differently the two have aged. In March, they said that 7% of Kelly’s genes may have permanently changed their expression in space. 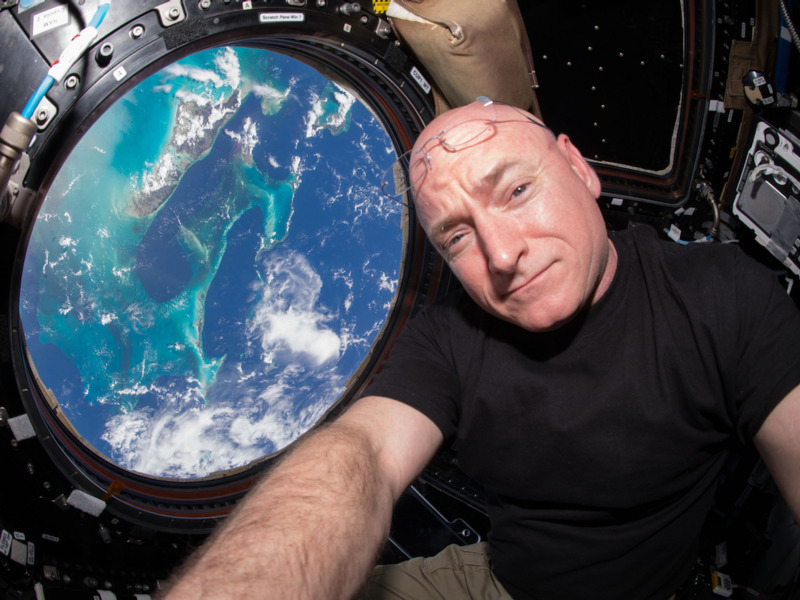 Since retiring in 2016, Kelly wrote a memoir last year about his year in space called “Endurance,” and he’s become an advocate for improving science and maths education in the United States. In our conversation, Business Insider talked with Kelly about what he saw in space, what he missed back on Earth, and how he went from a kid who couldn’t focus into one of the most celebrated astronauts of our time. Richard Feloni: Scott, thank you for being here. 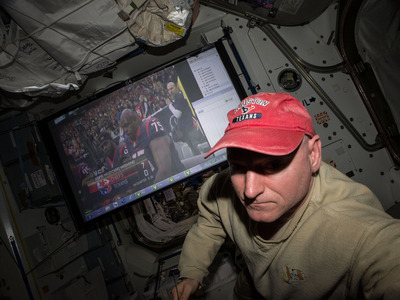 NASA Johnson/FlickrKelly snapped a selfie from the Earth-viewing ‘Cupola’ on the International Space Station (ISS). Feloni: Just over two years ago you came back from a 340-day trip aboard the International Space Station. What was that even like? How do you begin to process that at this point? Kelly: First thing is it’s a privilege, but, you know, a year is a long time to be anywhere. But it was a great experience, I mean the highlight of my professional career. And I think it’s important what we’re doing there, on the International Space Station. Feloni: When you’re aboard there for so long, did you have struggles with trying to stay sane? Kelly: You know, I was lucky that I had previously flown a flight that was 159 days, so I kind of knew what I was getting into. And being the first American to spend that time in space, I didn’t have a whole lot of people that had a similar experience to talk to about it, so I went into this with my own preconceived notion of what it would be like. I think I gave it enough thought and a had a good plan, that when I got to the end, I didn’t feel like I was just climbing the walls to get out of there. Feloni: You didn’t feel like you had to escape. Kelly: No, I think I handled it. My goal was that when I got back, I wanted for the flight director that I had in the beginning of the flight to talk to the flight director at the end of the mission. 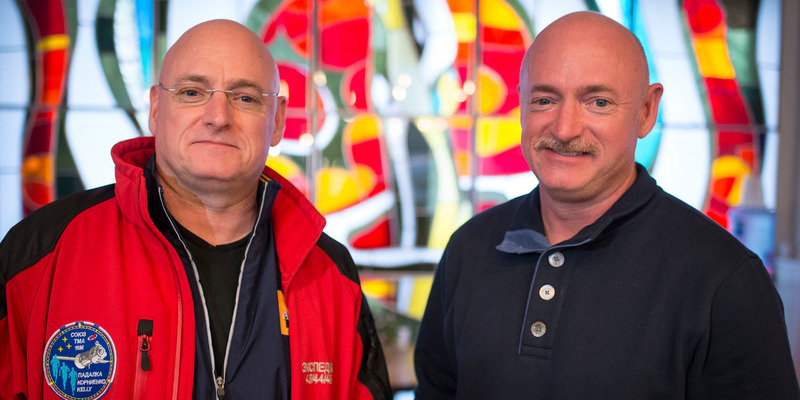 For the two of them, when they shared notes on their experience working with me in space, that they had the same exact comments on how I was as a crew member. Getty Images/Bill Ingalls/NASAKelly, left, and his identical twin brother and fellow former astronaut Mark. Feloni: Your identical twin brother Mark is also an astronaut. What dynamic did you guys have, growing up in New Jersey? Kelly: So between each other, we were either like the best of friends or the worst of enemies. And we would like beat each other’s brains out until we were about 15, and then I realised that was pointless. We came from a middle-class family – both our parents were police officers. They gave us a very long leash, which I think is a good thing and a bad thing. But somehow we managed to survive and later, both had the privilege of flying in space four times. Feloni: Did you guys have a sibling rivalry, or is it more you want to do the same things together? 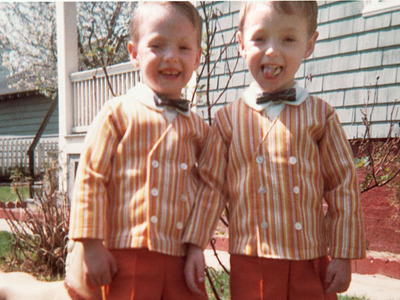 NASA Johnson/FlickrKelly, left, and Mark at age 3 in 1967. Kelly: Yeah, I think it was more having the same genetics and being exposed to the same things growing up. We happened to have the same interests later. And it wasn’t that we were in competition with each other, it was more – I think we’re competitive people, but not really with each other. Feloni: And so Mark, he figured out where he wanted to take his career before you did, right? Kelly: I was this kid that could not pay attention. Was not a good student. Always wondering how in the ninth grade my brother went from being like me to getting straight A’s – I never knew how that happened. I, on the other hand, had no recollection whatsoever of this conversation. Probably only because there was like a squirrel running outside the window and I was like, “Squirrel!” Otherwise, I probably would have been a straight-A student, too. Feloni: When you were 18 you had like a pivotal moment thought, right, you read Tom Wolfe’s book. Can you explain that? Kelly: Yeah, I read “The Right Stuff.” Happened to find it by accident in college, in the bookstore, and picked it up. It was the spark I needed to motivate me to do more with my life than I was currently doing. Feloni: So this was a book about military test pilots who ended up becoming the first American astronauts. Did you see yourself in them? 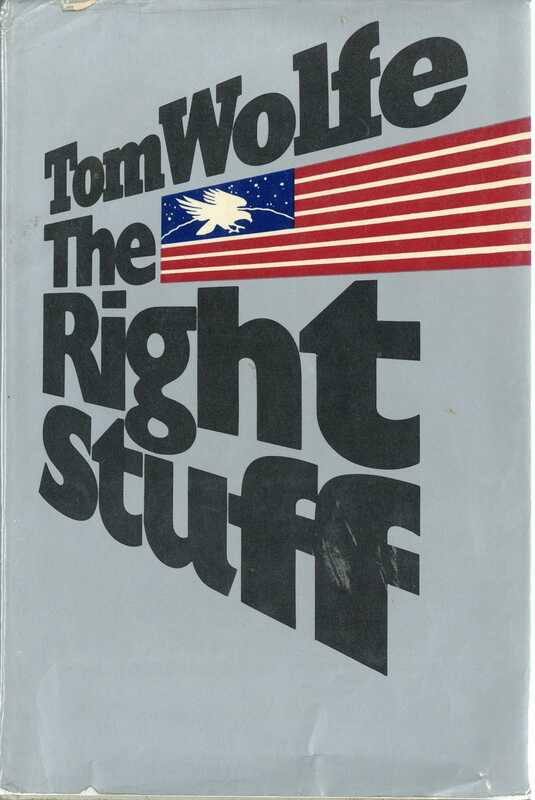 Farrar, Straus & GirouxTom Wolfe’s 1979 book ‘The Right Stuff’ is a journalistic account about the group of test pilots that became America’s first astronauts. Kelly: Well, you know, I read this book, and I could relate to a lot of the characteristics these guys had, with regards to their personalities, their risk-taking, their leadership abilities, ability to work as a team. That made me think. At the time I was thinking you’ve got to be really smart to be an engineer or scientist. What I realised is really what it takes is just hard work, and it’s not any particular gift you might have. As a student, it’s just really hard, especially at first, when you don’t have the habit-patterns to study and pay attention. But once I got over that, I was able to go from a kid at 18 years old that was always like a very average, underperforming student and then fast forward almost to the day 18 years later, I flew in space for the first time. It was a pretty remarkable comeback, I think. Feloni: And so looking at your own, kind of evolution as a student – is that weighing in on your advocacy now, for science education? Kelly: Oh, absolutely. So 3M did this study, the “State of Science Index,” that did a poll of 14 different countries and people’s opinions about science and the importance of science, and how much it affects their daily lives. It focuses on kids and getting kids the science education they need. And one of the things they learned is that a lot of people think that to be a scientist or to work in a science field you have to be a genius. I’m the perfect example of this kid that was bad at science and maths – I was actually bad at all of the subjects – and prove that, well, you don’t have to be a genius. What it takes is some hard work. But also it takes an awareness that you don’t have to be the smartest kid in the class to work in a science field, and I think to get kids interested, that’s important. It’s also important to show them the importance of science and how it can change the world. We have a huge challenge ahead of us. In the next 30 years the population of the Earth is going to increase to nine billion people. The challenges that we face with that ever-increasing population with regards to climate change, food and water availability, sustainability – those problems are going to be solved by science, and they’re going to be solved by the kids today. Feloni: So what would you tell the kids today who were like you, and they don’t like school? Kelly: I hated school, and I learned to like it. And if you find the thing that inspires you to learn, you can do it. If I could do it, you can do it. And there’s so many important fields out there that are science-related right now that will help change the world, and they can be a part of it. Absolutely – if I could do what I did, they can do it. 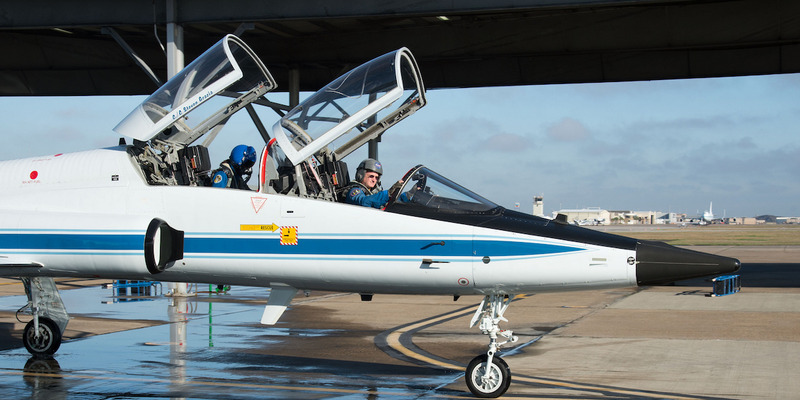 NASA Johnson/FlickrKelly, inspired by ‘The Right Stuff,’ became a test pilot in the US Navy. 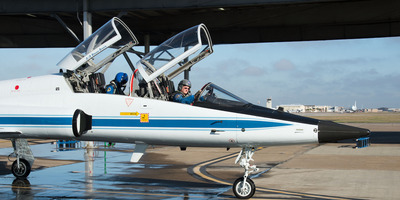 Here he is in the cockpit of a NASA training plane in 2013. Feloni: When did you tell your brother that you wanted to be an astronaut, too? Kelly: You know, we never actually talked about it. We were both test pilots in the Navy. And test pilots at that time, when the space shuttle was flying, most of them would apply to become astronauts, and we did, too. He actually interviewed before I did, so I thought he was going to get an interview and maybe have a chance to become an astronaut and I would never get called. I just didn’t think I was really prepared. But I was willing to take the risk of rejection, send in an application – which I think a lot of people don’t like to do that for some reason, but I didn’t care. Feloni: Did you guys motivate each other? Kelly: No, not really. Like I said, I think we’re competitive in nature, but not with each other. We’re pretty supportive of each other. Feloni: Actually, ahead of your last flight, he broke protocol and got on the bus, to meet you before you got on board. Kelly: Yes, he was there actually every time I flew in space. But the last two times the Russian space program, very nice of them, let him get on the bus – despite us being quarantined – and ride out to the rocket, as I got in. Feloni: So having this same career path has allowed you to be closer than ever? Kelly: Yeah, I’ll tell you what: Flying in space is a privilege, and even more so when you can share that experience with this person that I’ve known my whole life. 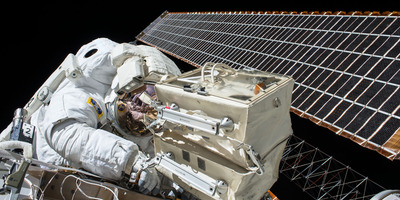 NASA Johnson/FlickrKelly during a spacewalk in 2015. Feloni: How old were you when you first went into space, and what was that experience like? Kelly: I flew my first time in December 1999, when I was 36 years old – which is actually pretty young for an astronaut to fly in space for the first time – and it was an incredible experience. I mean, it is seven million pounds of thrust, and it hits you instantaneously. You recognise that the vehicle itself weighs five million pounds. You know you are just part of this controlled explosion, basically, and you’re on the top of it, and it is launching you. You’re busting a hole through the atmosphere at impossible speeds. It really is an incredible experience. I wish I could do it again. I wish I could do it every day. NASA Johnson/FlickrKelly’s second trip into space was aboard NASA’s Space Shuttle Endeavour in 2007. Kelly’s last trip was on a Russian Soyuz rocket, which resembles a giant missile. Feloni: That you’re favourite part of the whole thing? Kelly: Yeah, launching, coming back, spacewalks – those are all very similar in their appeal. Feloni: With Mark, like no matter what you could do to explain the experience , it wasn’t going to capture it. Kelly: Yeah, if I couldn’t explain it to him, it’s kind of hard to put it into words to other people that don’t have a similar background and understanding of the space program. Feloni: I know it’s difficult to explain, but what goes through your head when you see all of planet Earth from space? Kelly: A few things. The planet is incredibly beautiful, breathtakingly beautiful. Having said that, parts of it are polluted, like with constant levels of pollution in certain parts of Asia. You see how fragile the atmosphere looks. It’s very thin. It’s almost like a thin contact lens over somebody’s eye, and you realised all the pollutants we put into the atmosphere are contained in that very thin film over the surface. It’s a little bit scary actually to look at it. NASA Johnson/FlickrKelly likens the Earth’s atmosphere to a contact lens over an eye. And then you realise looking at the Earth, that despite its beauty and its tranquility, there’s a lot of hardship and conflict that goes on. You look at the planet without borders, especially during the day. 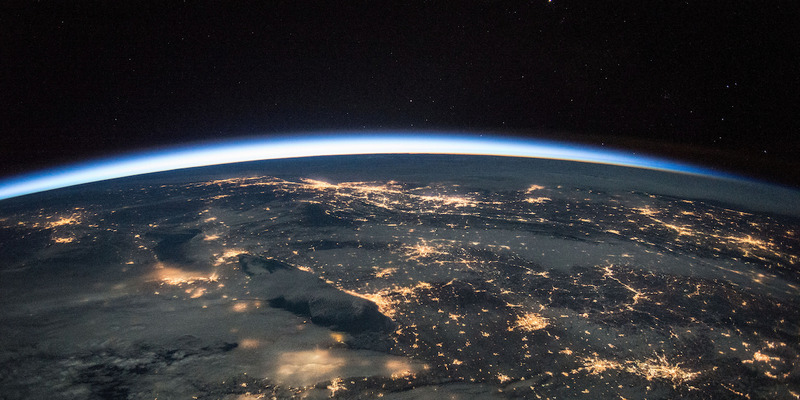 At night you can see countries with lights, but during the daytime it looks like we are all part of one spaceship, Spaceship Earth. And we’re all flying through space together, as a team, and it gives you this perspective – people have described it as this “orbital perspective” – on humanity, and you get this feeling that we just need to work better – much, much better – to solve our common problems. Feloni: Did it change your perspective as an individual? Kelly: Oh, absolutely. I think it makes you a more empathetic person. More in touch with humanity and who we are, and what we should do to not only to take care of the planet but also to solve our common problems, which clearly are many. Feloni: You’ve said that of all the things that could go wrong, the biggest fear for you was that something bad would happen to your family. Kelly: Yeah. You can’t come home. I experienced that on the flight prior to my last one. And that was my sister-in-law, congresswoman Gabrielle Giffords, was shot in Tucson, Arizona. Six people killed in this shooting, and I was halfway through a mission and couldn’t come back. So when I was going into space for a year, my big concern is if something happens to my family members, dealing with them. And that concerns me the most, much more than my personal safety. Kelly: Yeah, Gabby getting shot was a significant event. Feloni: What ran through your head? Kelly: “I wish I could be home to support my family, but I can’t, and I recognise that.” I mean, that’s part of when you go into space for a long periods of time, you’re signing up for that. My worst possible fear would be something happening to [my fiancée] Amiko or my kids. You cannot be physically there for them. Feloni: Do you miss the physical presence of having your family there? Did it ever become something that you really just missed? Kelly: You know, on the space station, we have an extraordinary ability to stay connected to people on Earth. We have email, we have a phone that works most of the time, video conferences. You look out the window, Earth is pretty close, so there is a very good way to stay connected with folks. So even though you’re in space, you still don’t feel like you’re really, really far away. You understand the physics, so in a practical sense you’re really far away, but in a visual sense you’re relatively close. Which, when we go to Mars someday it’s gonna be a much different experience. NASA Johnson/FlickrKelly took advantage of the ISS’s connection to the internet. Kelly: Well, because in a few days you’re gonna lose the ability to have a phone conversation because of the time delays. You’re not going to be able to look out the window and see your home. I mean, I could get a long lens, and a pair of binoculars, and I could see my house from space, which you know, pretty soon, on the way to Mars, the planet’s basically gonna look like a star at some point. So I think people feel much more isolated on those kind of trips. Feloni: So it’s kind of tricking yourself into thinking that ‘I’m closer than I actually am’? Kelly: Yeah, absolutely. But then again, you’re flying at 17,500 miles per hours, it’s not like you can just open a hatch and jump out with a parachute and be home. 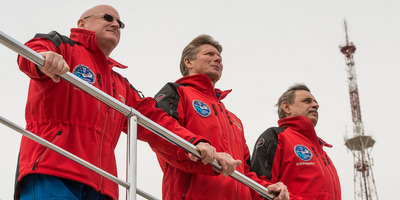 NASA Johnson/FlickrKelly, left, with his ISS crewmates, Russian cosmonauts Gennady Padalka and Mikhail Kornienko. Feloni: You’ve said like how remarkable it felt as someone who was trained during the Cold War to be cooperating with Russian cosmonauts on your mission. What do you think of the revival of tensions with Russia? Kelly: Well, we were in a Cold War with the former Soviet Union, and tensions with Russia occur, from time to time. My personal experience working with Russians in the space program, and my other friends in Russia, even some of them that had nothing to do with the space program, they have always been very, very generous people. Great friends. 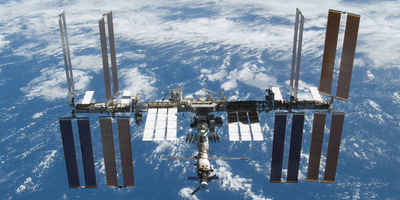 We’ve had a great partnership with them, with the International Space Station. And that’s one of the great things about the space station, it’s an international space station – different countries, cultures, languages. And that is one of the things that makes this such an extraordinary accomplishment, is the international part of it. So I understand that at times we can be in conflict, hopefully that won’t always be the case, but we should also look to the International Space Station as an example of things that we can do together in a positive way. Feloni: And what do you think of the current private space race, and how that interacts with government space programs? 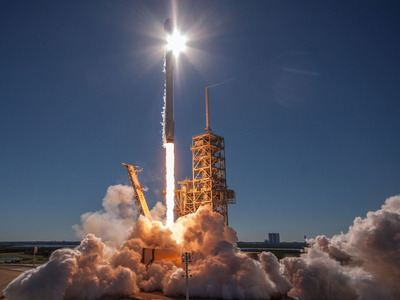 SpaceX/Flickr (public domain)A SpaceX Falcon 9 rocket lifts off a launchpad in Cape Canaveral, Florida. Kelly:You know, I think that people have a different perception of what private spaceflight, privatization, means. I think it means something different to everyone. People often look at a company like SpaceX, a private entity that is doing some incredible things in space, and I think sometimes they don’t recognise that for some of what SpaceX does, NASA’s in partnership with them, supports them. Kelly: Yeah, we’re cooperating with SpaceX. This is not the first time that private industry has been involved in the space program. 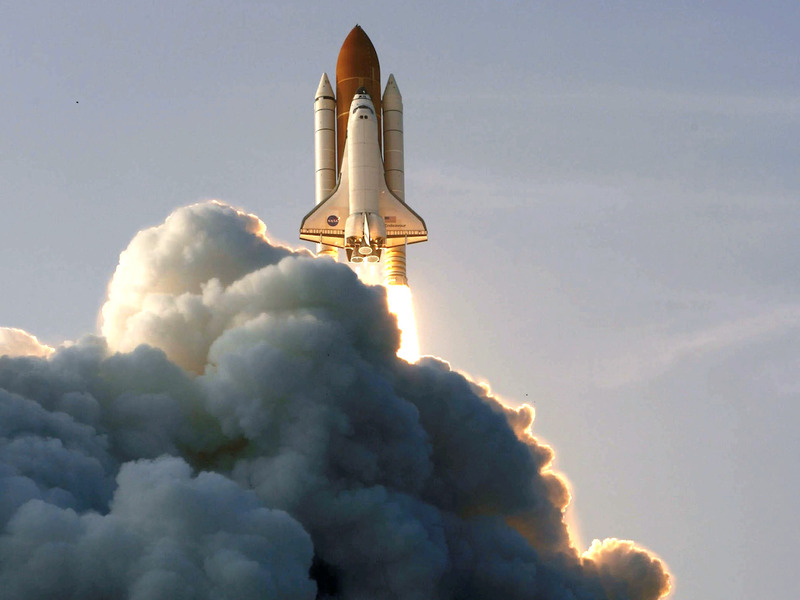 Even if you look to the Space Shuttle, Rockwell built it, not NASA. NASA was involved in design, managing, and construction. So private space exploration, private space flight is not something new, but the way we’re doing it, managing it, is different. We’re giving SpaceX some requirements and then letting them figure out how to do it, so it’s a little different than the traditional way we have done things. But it’s great, because maybe they can do things cheaper, and allow NASA to save money and resources to go and fly to Mars some day. NASA Johnson/FlickrKelly during a spacewalk on the ISS in 2015. Feloni: And what would you tell a young person who’s considering going into space? Kelly: What I tell them is if you want to be a NASA astronaut, make sure you know what the minimum qualifications are (and that is generally a bachelor’s degree in science or engineering or maths) but then choose a field you like. Because if you like it you’re going to do better at it, and NASA likes people that have done good in their current careers because that’s a very good indication of how they will do in a new one. 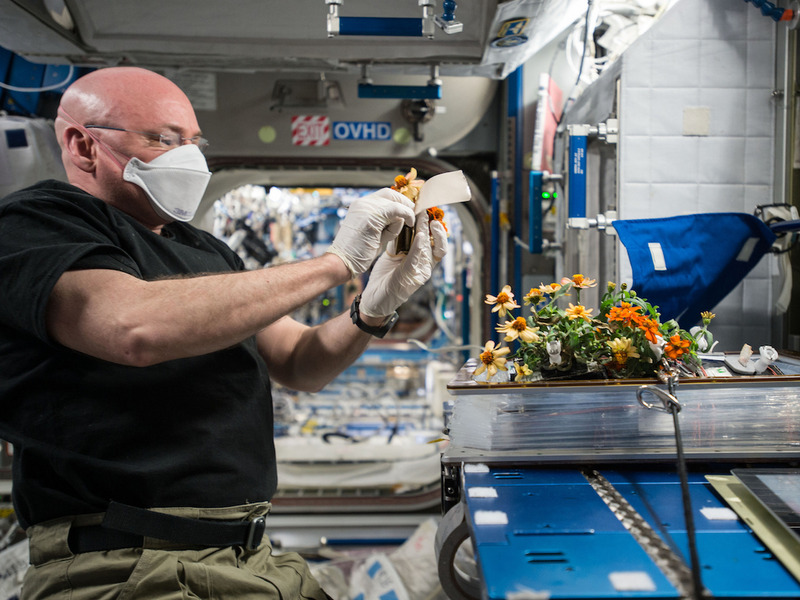 NASA Johnson/FlickrKelly’s research into plant growth during his ISS mission provided data crucial for future trips to Mars. But then also be a well-rounded person able to do other things. On the space station, you’re not just the commander or the scientist, you’re the plumber, you’re the electrician, you’re the IT person, you’re the doctor, you’re the dentist. Feloni: So you have to do everything all at once? Kelly: You’re the garbage man, you’re the janitor! I mean you do everything, so they want people that have all these different skills and abilities to do other things, and work well together as a team. Because that’s what makes a good crew member. Even that’s what makes a good teammate on Earth – people that are willing to help out when required. Feloni: Are you hopeful for our future in space? Kelly: I hope I can fly in space again, with all of you. Yeah, I’m very hopeful. I think it’s a privilege to do it, and I think it changes people for the better, having that experience. It’s exciting, it’s fun, and some day there will be more people flying in space. Hopefully it will be like getting on an aeroplane. It will happen some day, it’s just a matter of when. Feloni: Great. Well, thank you Scott.